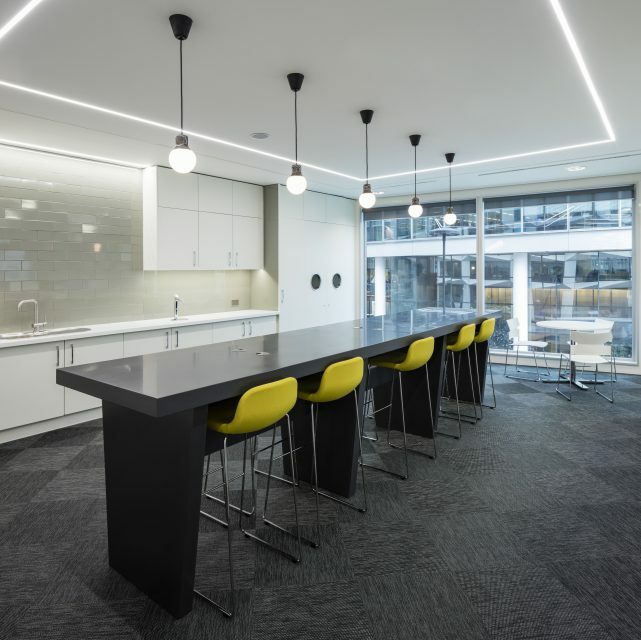 This project comprised the fit out of some offices at the second floor of the headquarters of a British multinational financial service company in the City of London. The brief was to design a welcome and comfortable environment, in which work and socialization could co-exist. The challenge was to complete the works in a short period, in a busy environment. 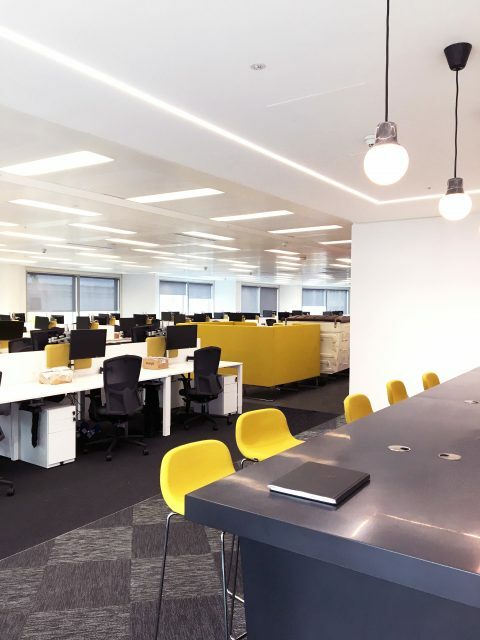 As a result, an open plan office layout was proposed, in tune with the nature of the iconic building, with an open plan accessible kitchenette and a new meeting room with glass walls. A large high bench table, touchdown/drop in, was introduced to support non-formal meetings within the office, together with soft meeting booths for more one to one discussions.